Hyaluronic acid and collagen are vital components of skin structure that decline as we age. They are responsible for the skin's moisture, suppleness, and elasticity. Patented BioCell Collagen II is made from 100% pure cartilage, which has undergone an absorption enhancing hydrolyzation process that yields low molecular weight hyaluronic acid, chondroitin sulfate, and Collagen Type II peptides. These elements found in BioCell Collagen II make it a multifaceted ingredient which may help support healthy skin function and appearance, as well as help support joint comfort and function. Microcrystalline cellulose, stearic acid, modified cellulose gum, colloidal silicon dioxide, and natural peppermint. Contains no yeast, dairy, egg, gluten, corn, soy or wheat. Contains no sugar, starch, salt, artificial color, flavor, or fragrance. Q. What is Hyaluronic Acid? 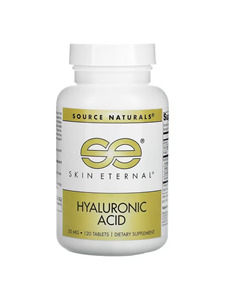 A.Hyaluronic Acid is a special protein occurring naturally throughout the human body. One of the most heavily researched substances in medicine today with thousands of clinical trials mostly in the fields of orthopedics and eye surgery. Its function in the body is, amongst other things, to bind water and to lubricate movable parts of the body, such as joints and muscles. Its consistency and tissue-friendliness allows it to be used in skin-care products as an excellent moisturizer. Hyaluronic acid is one of the most hydrophilic molecules in nature and can be described as "nature’s moisturizer". Q.Why do I need a hyaluronic acid supplement? A.Hyaluronic acid is naturally produced by the body as a constituent of synovial fluid that lubricates the cartilage between the joints. As we age, the body produces less and less Hyaluronic Acid and it becomes more and more difficult to replenish it. With osteoarthritis, the cartilage and other structures of the joint begin to break down. In some people, a small amount of inflammation breaks down the hyaluronic acid so that proper lubrication is lost. Joints become stiff and movement is painful. Hyaluronic Acid supplements pick up where our bodies fail us. 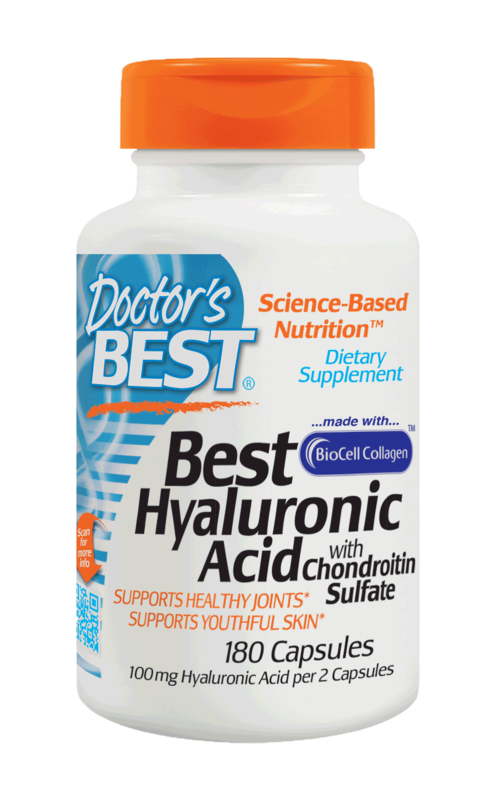 Q.What does Hyaluronic Acid do for my joints? A.The Hyaluronic Acid acts to help improve joint movement and cushioning. If we compare the joints of the human body to and automobile engine, the joint fluid in the body mimics the oil in a car engine. At regular intervals we replace the oil in our car engines because the heat and friction breakdown the oils viscosity. The oil becomes thinner and less able to protect the metal surfaces from excessive wear. As we age the viscosity of the joint fluid breaks down and becomes thin and is unable to cushion the joint cartilage. This leads to increased friction and wear on the cartilage surfaces of the joints. Taking Hyaluronic Acid helps restore the normal viscosity of joint fluid and prevent or arrest damage to the joint. Q.What if I don’t have joint problems? A.If you are not currently experiencing joint problems then HA may be used to provide benefits in the long run. Just as we change the oil in our car to help prevent problems, taking HA may help or prevent joint damage due to aging or daily abuse by maintaining proper joint fluid viscosity. Also, our hyaluronic acid production slows down considerably as we age, which accounts in part for the wrinkling of the skin, the joint pain, arterial degeneration, etc., so it makes good sense to compensate with supplemental Hyaluronic Acid. A.Since Hyaluronic acid occurs naturally in the body, taking small amounts of Hyaluronic Acid in our products should be of no health concern. Q.Where does your Hyaluronic Acid come from? A.Our acid comes from an extra cellular protein produced by bacteria. Our products are not derived from any animal source. Hypersensitivity reactions should not be a concern. Bacterial fermentation can yield higher molecular weight Hyaluronic Acid. The weight of the molecule directly influences its "moisture-binding" capability, and Synthovial Seven has the highest molecular weight Hyaluronic Acid in the market. This may explain the phenomenal results we are experiencing. Q.Can your products be taken with glucosamine and chondroitin? A.While Hyaluronic Acid is in the "family" of glycosaminoglycans, it is unique in its restorative ability, and will often provide improvement, where glucosamine and chondroitin have failed to do so. The synergistic action of all of these molecules is of course, the optimal way to address joint pain and stiffness, as they all represent the materials that comprise the matrix of our connective tissues. Q.Do I need to take these supplements with food? A.HA is easily tolerated with or without food. We recommend taking it first thing in the morning (this is a good way of getting in the habit of taking it every day). It is only necessary to take it once a day, although many people take it in the morning and again at bedtime and report excellent results. As with any nutritional supplement, it is important to be consistent and take it every day. Q.Do doctors use Hyaluronic acid to treat their patients? A.The answer is yes. Hyaluronic acid has been directly injected by needle into the affected joints. This has yielded great results by immediately increasing the viscosity of the joint fluid and restoring proper lubrication and cushioning. More work has been done in the field of orthopedics, cosmetic and eye surgery. It has been used in eye surgery as a replacement fluid in the eye. Applied topically to wounds and severe burns, can promote rapid healing and reduce scarring. Q.How long has Hyaluronic Acid been used? A.Hyaluronic acid was first used commercially in 1942 when Endre Balazs applied for a patent to use it as a substitute for egg white in bakery products. He went on to become the leading expert on Hyaluronic Acid, and made the majority of discoveries concerning Hyaluronic Acid. Q.When Hyaluronic acid is taken orally, does the stomach acid break it down so you don’t receive the benefits? A.At one time it was thought that stomach acids destroyed the Hyaluronic Acid molecule. More recent research has shown a large portion of the molecule goes undisturbed by the acid and goes on to be absorbed in the small intestine. A. It has been demonstrated in studies that fish collagen peptide has superior absorption capabilities (up to 1.5 times more absorbable), than typical sources of collagen such as porcine, and bovine collagen supplements. When I first used this product, I immediately felt a difference in the skin on my face. It felt and looked a little more youthful, tighter. I've been using it for several weeks now and I believe my droopy mouth has improved somewhat.